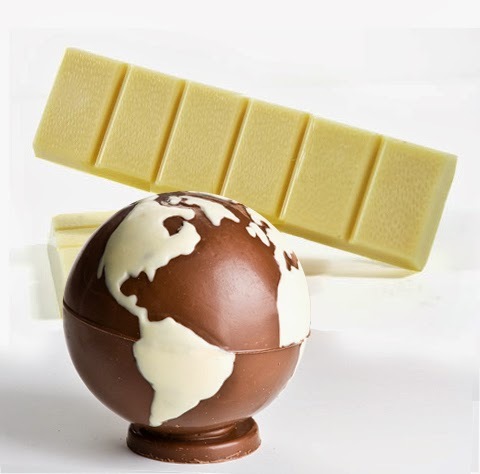 Where in the World are they Eating More White Chocolate? Each one of us has our favorite. Most of the time, never to stray to another type of that chocolaty goodness and although we may try another from time to time, there are clearly favorites that run, and can be determined by WHERE you live. Nearly $1.5 billion worth of white chocolate was consumed around the world last year, according to data from Euromonitor. The US, UK, and Brazil alone gobbled up over $700 million worth, or roughly half the total. At over $315 million sold annually, Brazil has by far the world’s largest appetite for white chocolate. It accounts for 15.5% of the country’s overall chocolate market, the highest percentage for any of the 52 major countries surveyed. Netherlands was second, with 15%; South Africa was third, with 13.5%; and Mexico was fourth, with 11%. Some in the chocolate world turn their noses up at white chocolate. “White chocolate doesn’t fit the fine chocolate category because it only uses a portion of the cocoa bean. Technically speaking, white chocolate isn’t even chocolate, because it doesn’t actually contain any cocoa solids—only cocoa butter, the fat that’s left over when cocoa is processed. The US Food and Drug Administration has even had to clamp down on what exactly is allowed to be called “white chocolate,” because chocolate makers were adding too much sugar and other fats to woo consumers. Now white chocolate must, among other things, contain at least 20% cocoa butter, 14% milk solids, and less than 56% sugar. Still, the world’s appetite continues to grow. The global market for white chocolate has grown some 21% over the last five years, led by monstrous growth in Brazil, where white chocolate consumption has ballooned by nearly 150% over that period, as well as Argentina and Saudi Arabia, where it has nearly doubled since 2008. We have all the white chocolate you heart desires! Check it out here!